Jack Fischer Gallery in San Francisco from May 18 - June 29, 2019. Reception May 18, 4:00-6:00 pm. Delighted to be back in San Francisco and showing with Kirsten Stolle. 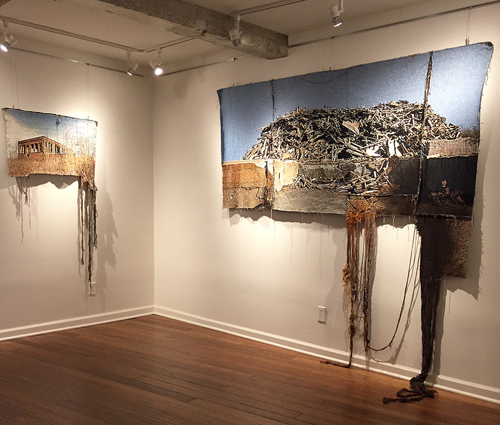 Happy to be included in the Rust Belt Biennial at Sordoni Gallery, Wilkes University, in Wilkes-Barre, PA. This photo biennial will be presented from August 27 - October 5, 2019. 93rd International Print Competition Semifinalist with online exhibition. Click here for online exhibition. With Regard to Cleveland by Bean Gilsdorf from SFMOMA OpenSpace, September 27, 2018. Open Space is SFMOMA's online & live interdisciplinary commissioning platform. Artist's Talk at Foothill Galleries on Thursday, July 12, 6:00-7:00 pm. On view this Summer at Foothill Galleries in Cleveland. Pleased to be featured in Peripheral Visions' upcoming Issue 8. This will be Peripheral Visions's first hard-copy print version and will also be available on-line. Look for this to appear in May/June 2018. Click here for my artist's profile. Delighted that the Joan Mitchell Foundation's catalog for the 2016-2017 Emerging Artist Grants has arrived. Download of complete catalog is available here. Featured in "Cleveland in Newark" presented by Denison University with an opening on February 17, 2018. Featured in Worthington Yards permanent collection and new Yards Project Space opening on January 18, 2018. Peripheral Visions Fellowship for upcoming Issue 8 that focuses on new work with a critical approach to craft, textiles, materiality and sculpture. Peripheral Visions first hard copy print version is due out in May 2018. Click here for Anderson Turner's Beacon Journal review of Altered States at Emily Davis Gallery at University of Akron. 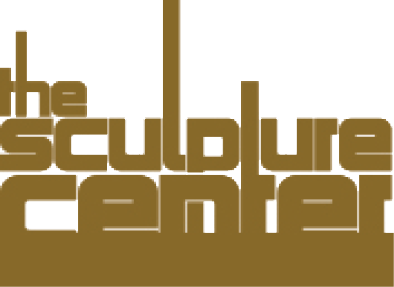 Click here for Anderson Turner's Beacon Journal review of fiber arts exhibition at The Sculpture Center. Curated by Lauren Davies at H Space with work by Eli Gfell, Elizabeth Emery, Aaron Koehn and Ella Medicus. Opening reception on October 27 at 7:00pm, Artists' Talk on October 28 at 2:00 pm. University of Akron Myers School of Art presents "Heatsink" and "Altered States" exhibitions. Click here for Cleveland.com article. 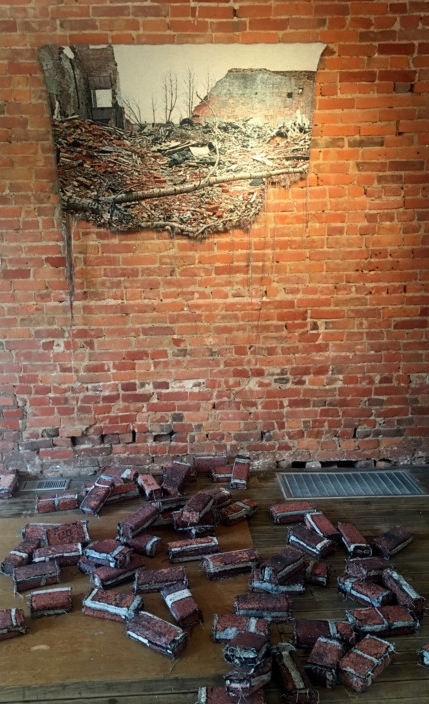 "Altered States: Works by Christi Birchfield & Lauren Davies" an exhibition by two Cleveland based mixed-media artists. 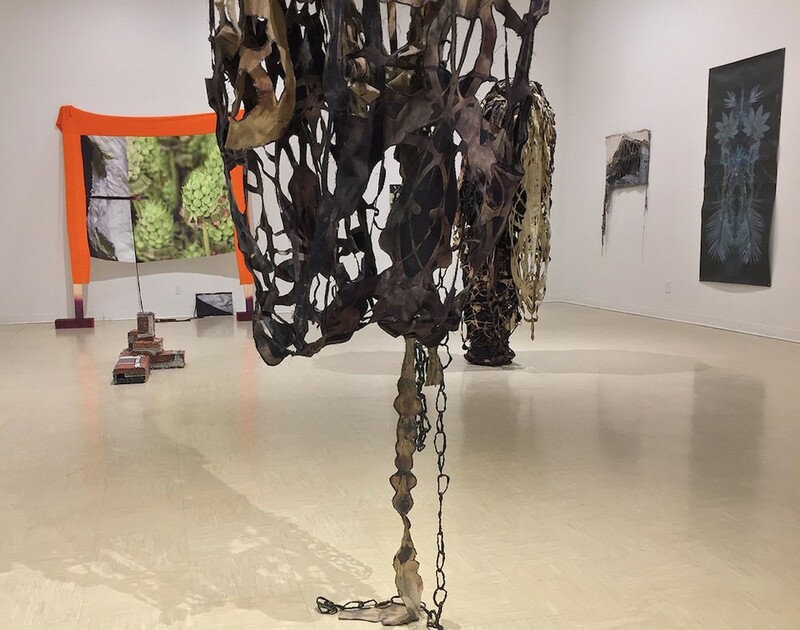 Join the University of Akron in greeting and meeting the artists in the two concurrent exhibitions at the Emily Davis Gallery with a reception on October 4. September 2017 awarded MOCA studio visit with Jose Carlos Diaz, Chief Curator at The Andy Warhol Museum and MOCA Curator, Will Brown. William Marcellus Armstrong, Lauren Davies, Trey D. Gehring, Penny Mateer, and Kathryn Shinko. Recipient of Joan Mitchell Foundation 2016 Emerging Artist Grant. Methods of Collection at University City Science Center's Esther Klein Gallery in Philadelphia. Click here for ArtHopper. org review. Lauren Davies: The Hall of Faux Moon Rocks. SPACES: The People's Museum of Revisionist Natural Itstory. A collaborative effort seeking narrative justice. On view from November 20, 2015 - January 15, 2016. Lauren Davies' small sculptures made of plaster, paint, pulverized glass and flocking masquerade as mineral specimens, igniting the desire to heft them. Davies' idea of faking bits of the earth smilingly satirizes the traditional notion of "nature" - that is, the visible world - as art's proper subject, linking it with current anxieties about human artifice as a menace to life on its home planet.